Autumn is upon us, which means we&apos;ll soon be treated to a landscape bursting with the orange, red and yellow colors of fall. The fall foliage season should peak from mid- to late October in York County, home to plenty of leaf-peeping spots. Here are just a few of our favorite spots to soak in the season. We&apos;d also love to hear from you. Where are your favorite spots to see the changing leaves? Let us know at marketing@yorkpa.org, and we&apos;ll share some of the top suggestions! 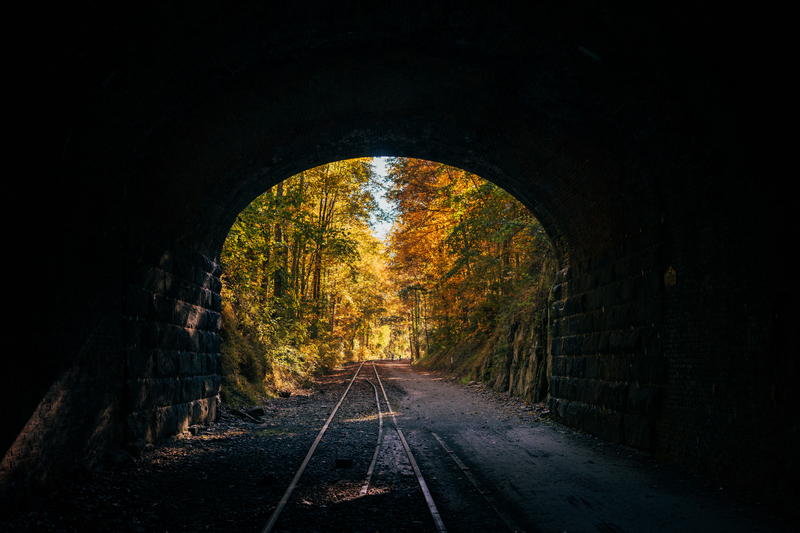 Immerse yourself in fall foliage along the York County Heritage Rail Trail, where you can walk, hike or bike along a 21-mile route stretching from the Mason-Dixon Line to Downtown York. For a truly unique leaf-peeping experience, hop aboard Steam Into History&apos;s William H. Simpson #17, a replica Civil War-era steam engine that runs along the same rails that President Lincoln rode on his way to deliver the Gettysburg Address. Based in New Freedom, Pennsylvania, the train follows the York County Heritage Rail Trail north to Hanover Junction. Steam into History&apos;s fall foliage rides begin October 12 and run through the end of the month, covering the peak viewing season for the area. An oak forest takes up the majority of this 750-acre park that sits on a rocky hilltop overlooking the scenic Susquehanna Valley. It&apos;s the perfect place to enjoy a picnic and take a hike, but fall foliage enthusiasts will want to head directly to the scenic overlook on the park&apos;s northern end for a stunning view of the land below. 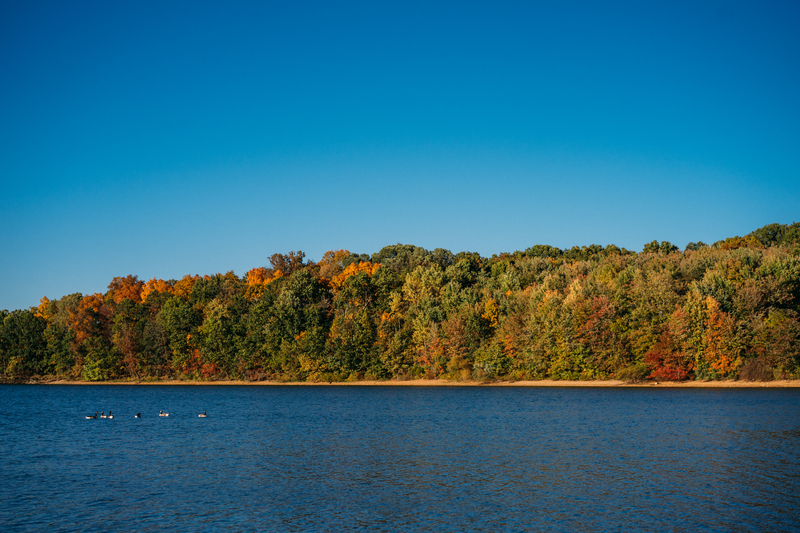 Pack the car for a drive up state Route 216, which takes you through Codorus State Park. Lake Marburg is the focal point of the park, and 26 miles of tree-dotted shoreline offers plenty of photo opportunities. Bring the kayaks for a serene fall paddle. Boat rentals are also available on weekends during October. The park also offers a campground for anyone looking to extend their stay. The area around this charming river town offers picturesque views of the majestic Susquehanna River. Trek to the Highpoint Scenic Vista or Samuel S. Lewis State Park for unbeatable views of the river. Or just stay in the car and cruise down Route 624 to take in the grandeur of autumn. While you&apos;re in the neighborhood, check out the Zimmerman Center for Heritage, recently named a Visitor Contact Station for the Captain John Smith Chesapeake National Historic Trail. The trailhead at Native Lands County Park sits right behind the center.